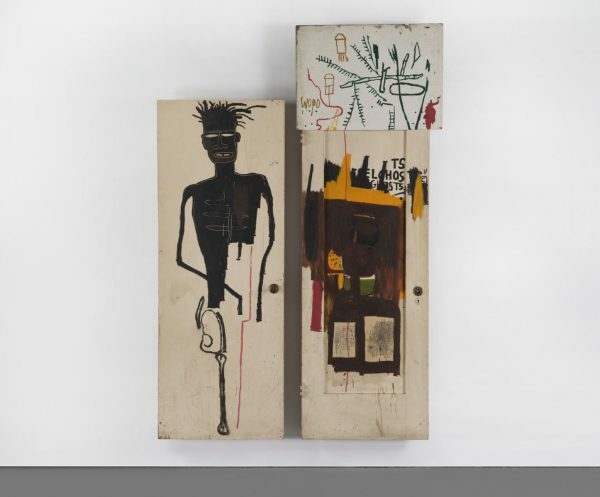 This hip-hop producer’s Basquiat could be a hit at Phillips in May. The Los Angeles County Museum of Art’s new $650-million building was approved. Can a museum for progressive artists have an arms-manufacturer vice-chairman? Guggenheim ‘decommissions’ conceptual and Minimalist works over questions of authenticity. Salvador Dalí Museum in Florida plans $38 million expansion. Patronage without pretension abounds at the 2019 edition of the Dallas Art Fair. Art Basel to unite across continents to celebrate 50th anniversary. Carlo Ratti’s Mycelium Arches at Milan Design Week. Smaller Art Cologne caters to our short attention spans. The best of Buenos Aires beyond arteBA. Mike Kelley Foundation awards $400k to Los Angeles arts organizations. Another shake-up in art finance sector as Athena sold for $170 million. New York City officials have voted to demolish the art-filled Elizabeth Street Garden. Chris Martin on breaking the rules of painting in the 1980s. Peter and Sally Saul in studios in upstate New York. An inside look at Johan Van Mullem’s “Reverence” exhibition in London. Blue is the most relaxing color, scientists say. Dorothy Iannone’s statue of sexual liberty. Nettle Grellier’s tender paintings show how we can occupy space as equals. Dale Chihuly’s glass sculptures are in bloom at Kew Gardens. The enduring legacy of Joseph Duveen, America’s first mega-dealer. The collecting couple promoting emerging, diverse art in Dallas. Leelee Chan’s sculptures turn urban detritus into natural-looking forms. When performance art takes to the street, the results are moving. PODCAST: What inspired Munch’s Scream? Plus, the Shed. PODCAST: Power, purpose and privilege with artists Nari Ward and Derrick Adams. World Press Photo reveals the top photojournalism images of 2018. Kwame Brathwaite’s photographic vision of a black female utopia. The photographers who documented youth culture through the ages. Why Madame X scandalized the art world. X-ray of Uffizi’s Artemisia Gentileschi reveals a tantalizing underpainting. The forgotten women who hand-painted the first color films. The vengeful female ghosts in Japanese Ukiyo-e prints will haunt you. The divine art of Japanese Shinto gods. French sculptor Claude Lalanne has died aged 93. Vik Muniz exposes his shared roots with Ruinart. 5 places that inspired Vincent van Gogh’s art. I held the gun that probably killed Van Gogh—and here is its story. The radiant paintings of Les Nabis, the movement started by Bonnard and Vuillard. Why the Google doodle pays tribute to 100 years of Bauhaus. 4 artists share tips for using Instagram to grow your art practice. The first image captured of a Black Hole that’s 55 million light-years from Earth. Unraveling the mysteries of ancient Egypt’s spellbinding mummy portraits. Categories: Contemporary Art, Features, Overtime. Tags: Contemporary Art, Features, Jean-Michel Basquiat, Overtime.